Anna DeWolfe scores 28 points in the Rangers' 66-50 semifinal victory. It seemed to take the Marshwood girls’ basketball team a little bit longer than Greely to wake up Wednesday morning. 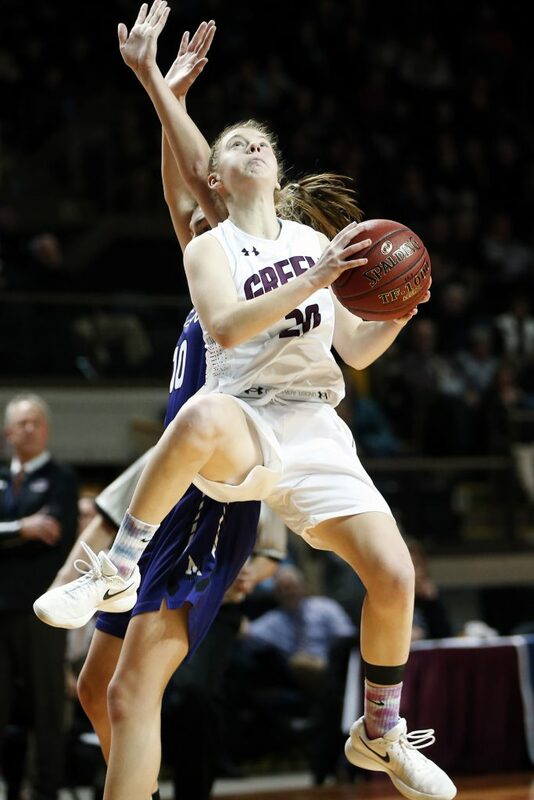 Greely jumped out to a 9-0 lead en route to a 66-50 victory in a Class A South girls’ basketball semifinal at Cross Insurance Arena. Second-seeded Greely (18-2) will play No. 1 Brunswick (20-0) for the regional championship at 6 p.m. Saturday. It’s a rematch of last year’s final, which Brunswick won by three points. 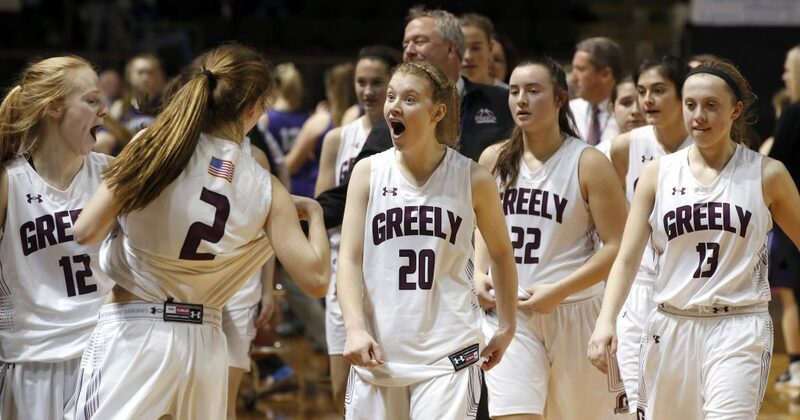 Greely will be making its fourth straight appearance in a regional final. The Rangers won the Class B state title in 2015 but lost in the Class A South final in 2016 and 2017. 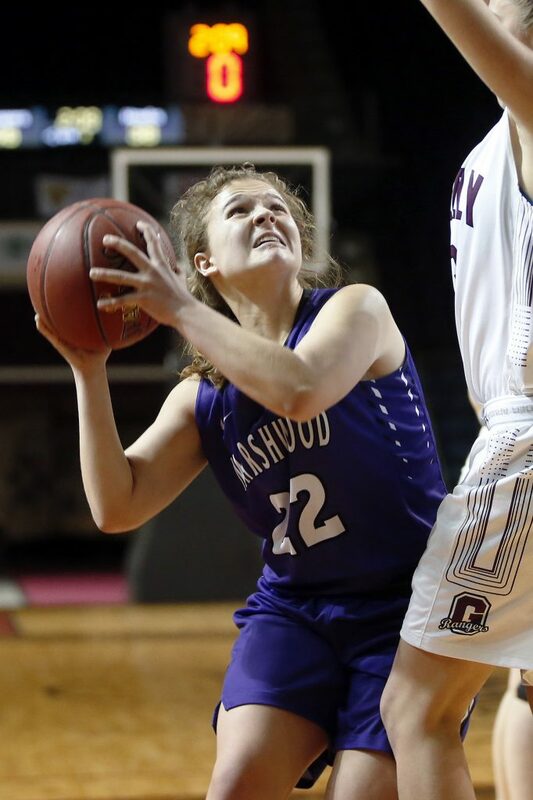 Down 19-8 after one quarter, third-seeded Marshwood (18-2) inched its way back into the game and got within four points late in the third quarter. 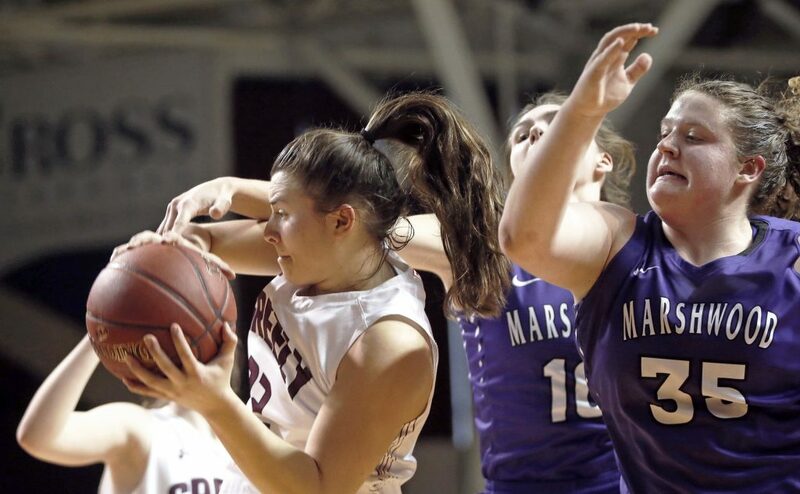 But Greely junior guard Anna DeWolfe proved to be too much for Marshwood to handle, scoring 29 points. Madison Scott and Brooke Obar each added 11 points and Camille Clement had 10. Miranda Montgomery led the Hawks with 15 points. The Rangers kicked off the game with a steal by Obar and a 3-pointer by DeWolfe. Julia Martel followed with another 3-pointer, and a second Marshwood turnover led to Clement’s three-point play that gave Greely a 9-0 lead just 1:17 into the game. “Our shots were going in, but I thought our defensive pressure early on was good, and we got out on fast breaks,” Flaherty said. 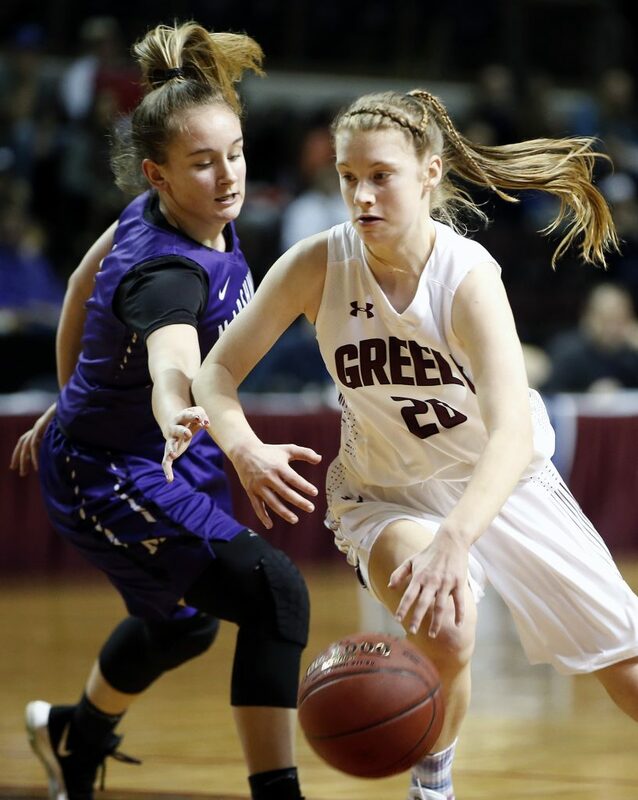 The Hawks got going in the second quarter, scoring 17 points, including a 3-pointer from Angelina Bisson and a three-point play from Montgomery on back-to-back possessions that cut Greely’s lead to 24-16. But the Rangers maintained their lead and went to halftime up 35-25. A six-point run capped by a Montgomery field goal sliced the deficit to 44-38 midway through the third quarter. Obar snapped the run with a basket for Greely before Elora Montgomery matched it for Marshwood. With a minute and a half left in the third, Natalie Herbold battled for a defensive rebound and drove all the way to the basket for a layup, and the lead was down to 46-42. DeWolfe snatched back the momentum by scoring six points in the first two-and-a-half minutes of the fourth quarter, put the Rangers ahead 54-42. From there, the Hawks never got within 10 points. “We just settled down and relaxed and told ourselves that we only have a certain amount of minutes to keep playing,” DeWolfe said.